Social Netbooks and ARM's Lock-In Netbook Opportunity. Social Netbooks and ARM’s Lock-In Netbook Opportunity. We’ve had ARM-based mini-notebooks and tablets for years and in recent months we’ve even had the chance to test out some new, high-powered arrivals. The Netwalker, Wirelession 1060, TouchBook and many more. The potential has always been there to make a killer product but no-one has executed correctly yet. The Mobinnova Beam gets close but there’s a lot missing from the OS on that one. The Dell Mini 5 and Apple iPad might change that and in the world of 4-10 inch ultra-mobile devices are likely to be the biggest sellers this segment has seen for at least the last 5 years. They combine some unique features over X86 devices that I discuss below. These niche-market devices may not see multi-million sales but there are still big opportunities. Up at the 10 inch netbook segment though there’s a well-established market for low-cost, portable, low-end internet-focused mini laptops. 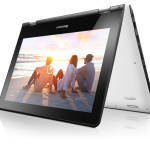 Netbooks have 40 million or more sales to-date and over 100 million sales predicted for 2013. Prices are low, battery life high, performance acceptable and even style is playing a role. Netbooks are just cool and very easy to justify. This is where ARM partners have a superb opportunity…in the Social Netbook. ARM-partners aren’t in the netbook game yet but they do have a big chance if they use some unique weapons that Intel will have to think carefully about in their next-gen netbook platform. The ‘Social Netbook’ is a huge opportunity for ARM partners. For the first time this week I finally saw an ARM-based netbook that executes well on what I think are the important unique and ‘lock-in’ features and the device slots neatly into a category of ‘social’ netbooks. Jolicloud beware because the Compaq Airlife 100 is good. The 4 ARM-Centric Features of a Social Netbook. First of all we have the point-of-sale element. Selling applications, books, videos, music and other online services adds value to the customer and value to the sales-chain which, in turn, can bring the price of a product down. Android, iPhone OS and other ARM-centric operating systems have proven that the model works and is important for the future. Windows-based netbooks aren’t POS devices. Intel and Nokia are working on this via their Intel Atom Developer Program and app-store framework but it’s in it’s infancy and needs a lot of marketing, development and commitment from OEMs before it becomes interesting for developers and customers. Point-of-sale is a lock-in feature. LBS is becoming very big business and customers are starting to catch on to the idea of local search, local social networking and other location-based services. There ARE solutions for Windows-based netbooks but they are few and far between. Take Google Buzz for instance. The only way you can use the location aspect of this service is to use it on an ARM-based smartphone. Windows just doesn’t lend itself to these services and despite efforts to include ‘sensor’ support in Windows 7, developers are just not developing with this in mind. All the action for LBS is exclusively on ARM-based platforms using operating systems built with this in mind. Intel and Nokia do have a solution in MeeGo but like the Intel Atom Developer Program, it’s a long way away from developers minds right now. LBS is a lock-in feature. As for social networking, although the majority of it still happens on the desktop, the growth in mobile social networking is phenomenal and combined with LBS is something that an Intel/Windows netbook just can not do right now. 3 – Dynamic User Interfaces. What’s more interesting? A static workbench or a tailored ‘active’ screen with dynamic wallpaper, active widgets, finger-attractions, location awareness and a neat integration and interleaving of notifications from device and external services? Despite Windows 7 being capable of all these things, it’s not delivering a dynamic, exciting, social-centric experience. How many usable finger-centric overlay packages did you see for Windows 7? What platform are developers looking at when they want to make a dynamic, mobile friendly UI? The answer is simple. Most of the work is going into ARM-focused operating systems right now and you only have to look to peoples reaction to ‘Sense’, the UI layer from HTC to see what a difference it makes. Funnily enough, Windows Phone 7 Series won’t be offering tailored overlay layers either so in terms of dynamic, evolving mobile user interfaces, Android is in the best position possible. Again, MeeGo is tackling that issue but again, it’s a long way away from developers minds right now. Dynamic user interfaces are a lock-in feature. I’ve left the best until last. Always-on is a killer lock-in feature and the primary trojan horse for ARM-based products. Always-on is not about in-use battery life, it’s about staying connected and active when you don’t use the device. It’s the smartphone usage model and it’s the reason that many of us, despite having laptops with us, will choose to browse the web or do an email on a smartphone rather than on a mobile computer. We’re simply lazy. I first experienced this always-on computing model with a productive device back in 2008 with the WiBrain i1 which was able to achieve a nearly all-day connected usage scenario but it got hot, was a little temperamental and was hardly the most attractive design. Since then we’ve started to see netbooks achieving a regular 8-hour connected battery life and we’re moving to the point where that is going up to 10 hours with designs based around Pinetrail and Menlow but they are all 1.2KG or more, all have huge 6-cell (expensive) batteries and all use an operating system and platform that aren’t designed for the out-of-use scenario. 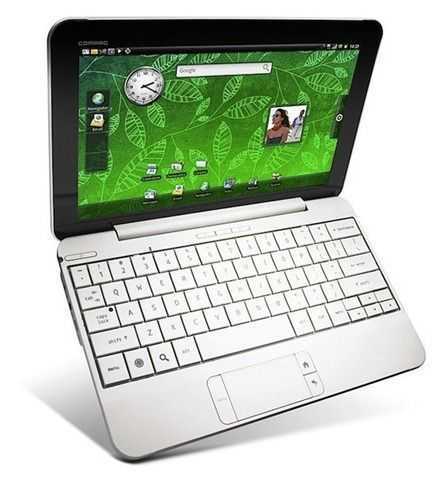 With the current mobile operating systems you get always-on in a much more efficient manner (expect connected active-standby times in days on an ARM netbook) and the OS is designed for that usage model too. From core OS functions to notifiers and the ability to light lamps and buzz buzzers when necessary â€“ even based on location. Users understand these OS’ as ‘always-active’ whereas with Windows 7, users are associating a desktop usage model and power-down after use. Always-on usage is one of the best advantages ARM-partners have in this space and the primary lock-in feature for ARM-based netbooks. Also worth thinking about are casual gaming, in-use battery life advantages, weight, design flexibility (smaller, fanless designs) carrier channels and subsidization models. 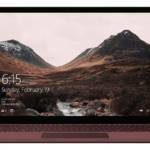 Windows 10 S is the perfect ultra-mobile PC operating system. 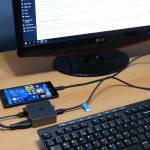 ARM can’t fix the Windows 10 mobile problem. It will make a great Surface Pad though. 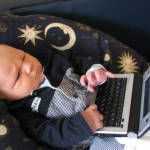 RT @umpcportal: Social Netbooks and ARM's Lock-In Netbook Opportunity. http://bit.ly/bk2bfQ < I'm back at my desk with thinking cap! I think you’ve got it right Chippy but I wonder if a portion of what you envision does not already exist? The Iphone / Itouch / Ipad would seem to occupy that universe today. I am not sure we have to dream about the coming social netbook world but instead can take a peek over the fence at Apple and see how their users are enjoying life with always on, GPS aware, massive online store, living. I wonder if the real question should not be, Can Intel catch up to Arm and Android but instead can Arm / Android catch up to Apple? Personally I hope Arm / Android can match Apple because I really dont want Steve Jobs running my online mobile life. We need more choices! You are right Chippy, this is a very astute observation. Given the tremendous advantages that mobile OS’s have regarding battery life, instant on and the general economization of computing resources, one tends to wonder how long will it take before the advantages of desktop OS’s drop below the threshold for most users. We saw what Apple did with its productivity suite. Maybe MS will follow. We see how much the cloud has lifted much of the file management requirements and restrictions. Are we heading towards the death of “desktop” OS’s, at least as the main paradigm of everyday computing? At the recent Barcelona event Microsoft declared that their new phone software was not intended to give you a full desktop computer experience, (or something to that effect). What you really saw was a silent prayer being offered because Microsoft needs to continue to sell $199 and $299 operating systems for desktop computers in order to feed their massive needs. If they offered a $35 phone operating system that could handle desktop demands, they would be out of business within a few years. Apple is in the same boat. No desktop operating system on their Ipad because if they did, there would be no reason to buy their $2,000 laptops and desktop machines. I imagine looking out the window of Microsoft or Apples headquarters today must be a lot like the workers who made buggy wipes looked out their loading dock doors and saw these noisy, smelly, metal vehicles gaining in popularity. Some probably thought cars would never catch on while others planned to buy one for themselves and look for a new job while they were at it. I think Google is the only company with no stake in crippling their Android operating system. Do they have the vision to let it expand to fill all the niches? What they do with their App Store on non-phone MIDs will give us a good indication. i’m desperately waiting for the recording of the meetmobility podcast. nobody talks about linux mid oriented distros like ubuntu mobile? since i’ ve installed xubuntu, i find my umpc flying, with less battery consumption, fast boot, ultra fast suspend/resume with wifi, bluetooth and touchscreen warmstart. i mean that xubuntu really enjoy me, and it’s certainly enough on a umpc (or a mid) if you only browse the web and the social networks. Any rumors about Viliv refreshing their S-5/X70EX tablets in time for ceBit? bummer. I was looking for a X70EX with optical mouse and maybe (slightly) upgraded specs. technically Chippy you are correct & absolutely every point you made is perfect. even the mainstream who dont know they want it yet will eventually wind up wanting it. BUT i think their is 1 critical flaw in your thinking. every advantage you mentioned about smartbooks is ALREADY available to the mainstream, but in their smartphones. besides the increase in screen size their is almost no reason for the mainstream to go with a smartbook. if they are going to upsize to a device that cant fit in a pocket than more than likely they will want a vastly more functional Windows based netbook. and you know what, even while that Windows netbook is in “sleep” they will still get all of their various “active alerts” through their smartphone. so that fact alone pretty much nullifies the advantage of smartbooks over netbooks, since people will always have a phone on them anyways. personally, i think smartpads have a better chance than smartbooks because they offer a more dynamic experience. This smartbook looks great, everything is in place. Except for Google Marketplace. Without this, this is a waste. No use in buying this smartbook without the major smart feature, which is the app store. As someone who has never owned a smartphone a smartbook is much more attractive to me. I’m really holding out for a convertible smartbook. With a larger screen and with a keyboard I can get most of a similar experience to what I am used to on a regular laptop with all the benefits Chippy mentioned. I really hope Realty is right because I would really like to see an Android smartbook as a stand alone device. What we need is a major manufacturer to build an Android Smartbook to get the ball rolling because they are the only one’s with the chance of getting the Google Marketplace. I can’t see google giving the marketplace to a tiny Chinese company no one has ever heard of before, but I can see an Asus, or Dell, or HP device getting the Google branding and the marketplace. To me the appeal of a smartbook over a smartphone or a tablet is that I could possibly be productive on it. If it has a nice keyboard you could write a novel on it. Which is why I like the convertible form factor, you can be productive and then fold the screen down and get that intimate browsing or whatever it is touch gives you. With ARM instead of x86 you can make the devices even thinner than Atom convertibles to make the tablet mode even better and more like a device that is only a tablet. 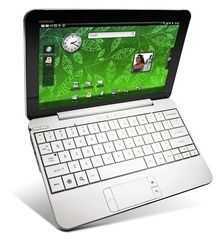 I think an android smartbook has huge potential and I can’t wait for them to become a reality. « Mirasol Demo Proves Dual-Screen Readers have a Short Lifeline.